Atrioventricular Septal Defect, also known as Atrioventricular Canal Defect, is actually a combination of defects, involving malformations of the tricuspid and mitral valves. 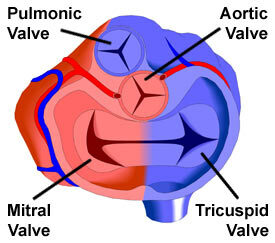 In some cases, the mitral and tricuspid valves are connected, forming a single opening. In addition to valvular defects, defects (in the form of holes) often occur in both the ventricular septum (VSD) and the atrial septum (ASD). 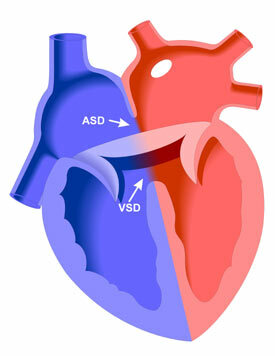 In some cases there may be discrepancy in the size of the right and left ventricles, often with the left ventricle being smaller than the right. This is referred to as an unbalanced atrioventricular septal defect and has consequences for approach to surgical repair.